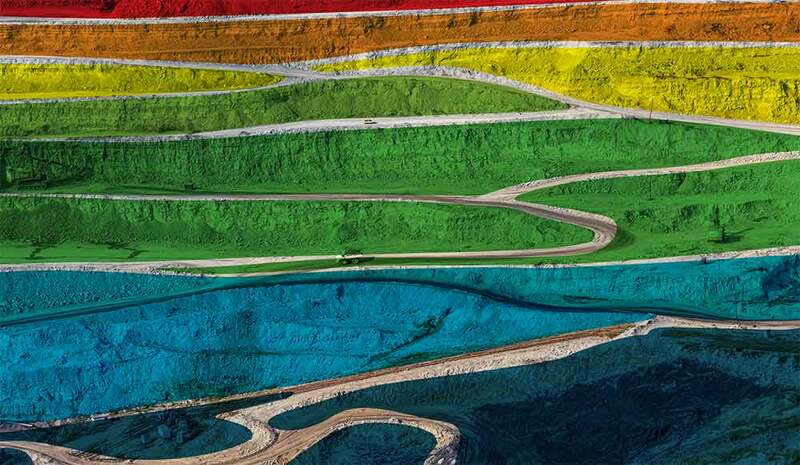 Drones in the mining industry allow you to obtain accurate survey data in a variety of formats to speed up Mining Decisions. 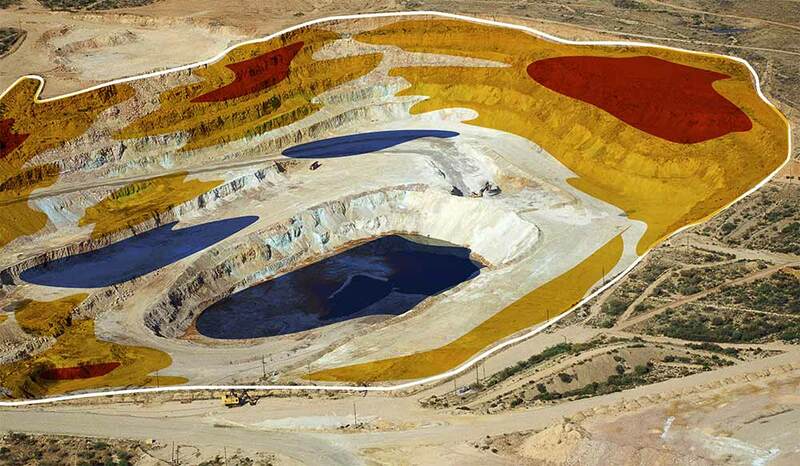 Drones and mining allow you to remotely explore potential mineral deposits, track your equipment in near real-time and even compile monthly reporting of stockpile inventories, while protecting your team against unsafe working conditions. 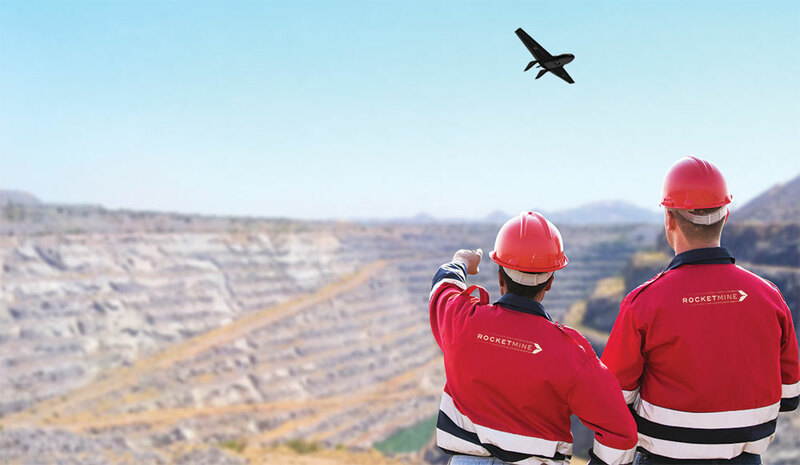 Give us your problem, we’ll give you the Rocketmine uav for mining solution. 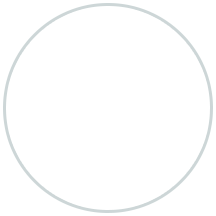 Identify breaklines and fissures, monitor extractions, plan blastings and extracting activities from your desktop. 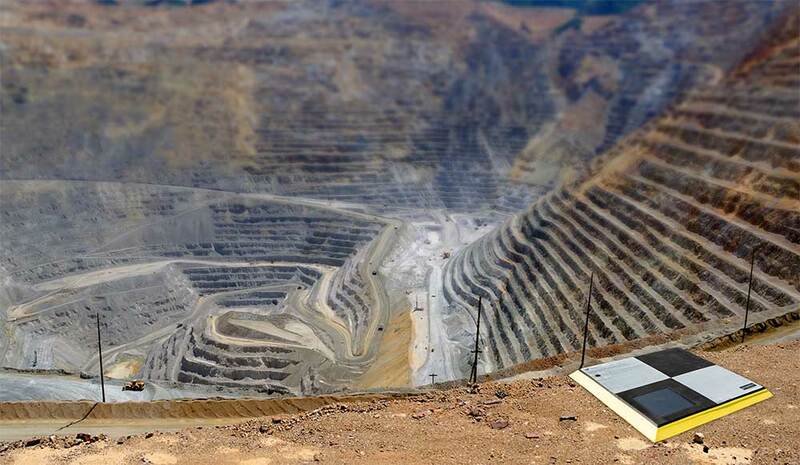 UAV applications in mining allow you to fly the drone, upload data and we will process and deliver the outputs online typically within 24 hours. Our AeroPoints and Quality Assurance processing delivers survey-grade accuracy down to 1cm GSD. 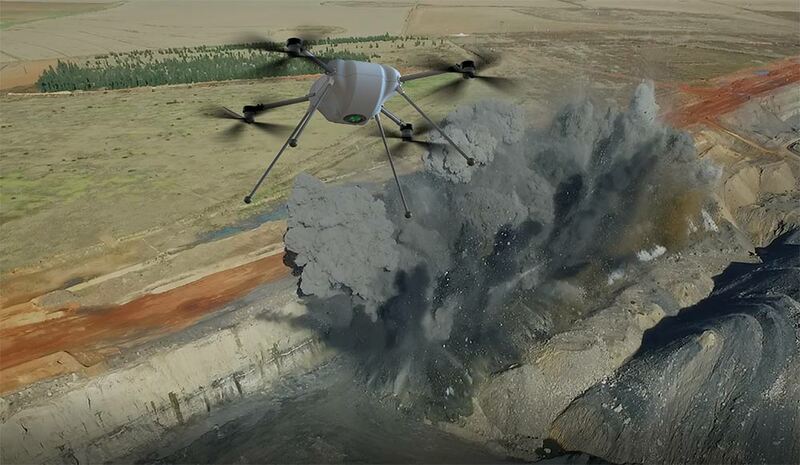 Drones in the mining industry mean you no longer need to send staff out to walk stockpiles and you can reduce the number of field surveys required to validate them. 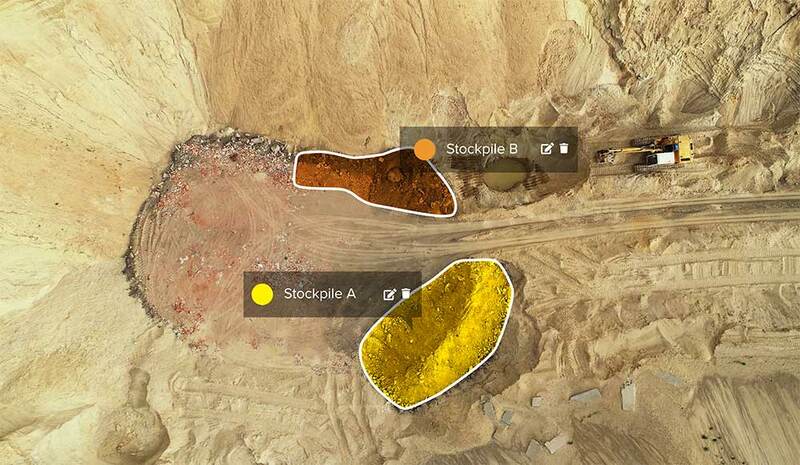 The Rocketmine Platform includes tools for accurate stockpile volumetric calculations, including comparisons with volume data from earlier surveys. 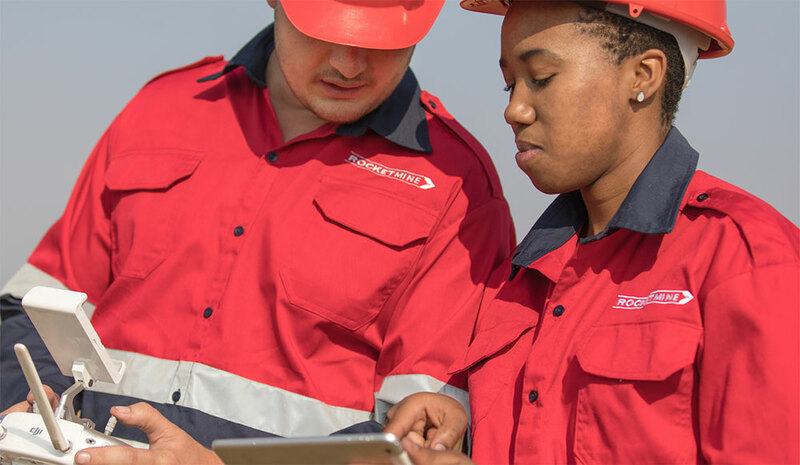 By combining AeroPoints ground control and the Rocketmine Platform, you can create spatially accurate maps and 3D models that you can overlay with design files to ensure work is progressing to plan and that any deviations are identifies and rectified early. 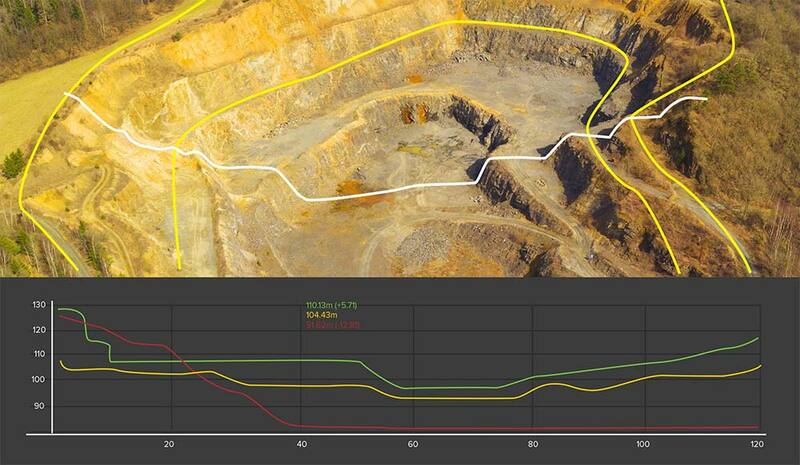 By using our aerial survey drones for drone surveying we are able to provide highly accurate data to our clients. 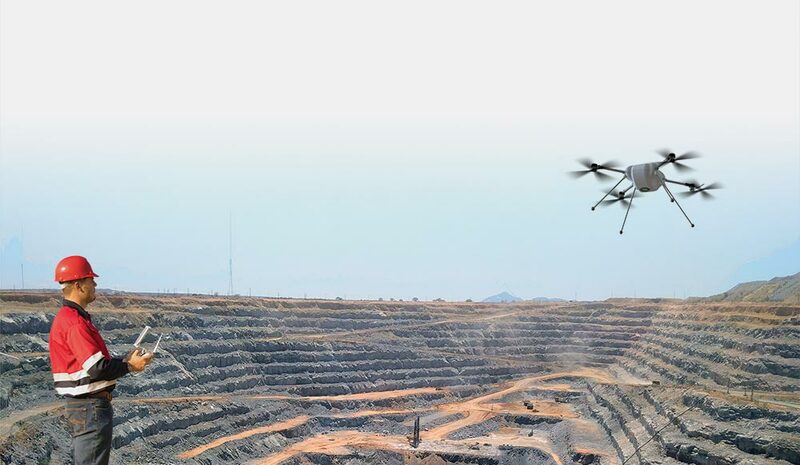 Interested in finding out more about how our Mining Drone Solutions can assist you with your business needs?